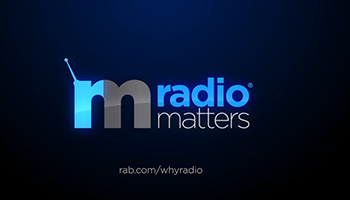 Executives from the political advertising, media and marketing industry gathered in Washington, DC on Wednesday to discuss radio's important role in reaching prospective voters during the 2016 election year. The occasion was "Radio. It's On for Political," a ground-breaking networking event hosted by the Radio Advertising Bureau, in partnership with Katz Radio Group and Nielsen Audio. Providing a lively and informative start to the seminar was RAB President/CEO Erica Farber, who emphasized radio’s capabilities as a highly personalized medium that is local, social, personal and interactive. She also detailed how radio has dramatically expanded its reach through multiple platforms, and noted the renewed interest in the medium by advertisers representing various candidates and campaigns. "Radio is the medium that you need to include in your plans," she told the political operatives in the audience. "Radio can deliver it all to you, whether that’s on-air, online or within your target." The proven effectiveness of radio in targeting voters with specific political preferences and party affiliations was also highlighted in a presentation by Nielsen executives Carol Edwards and Rich Tunkel. The data featured during the session supported radio’s edge in helping advertisers deliver their messages to exactly the audiences they need to reach, according to format, daypart, etc. "With 93 percent of the population listening to radio every week, radio, more than any other medium, gives political advertisers the ability to reach their audience and emotionally connect with voters in local communities across the country," said Pat McGee, SVP of Political Strategies of Katz Radio Group. "And now with the introduction of Nielsen's Voter Ratings solution, we can more precisely match voter behavior with radio listening, enabling campaigns to target key voter segments in more granular detail. We are thrilled to be partnered with Nielsen to deliver this voter data to the political buying community." The event was also highlighted by a one-on-one interview between CBS News Congressional Correspondent Steven Portnoy and CBS News Election Director Anthony Salvanto. The two political news veterans provided their insights regarding the results of the Iowa caucus, and offered a preview of the upcoming New Hampshire primary. "Radio. It's On for Political" was made possible with the help of the Illinois State Broadcasters Association, Marketron, New York State Broadcasters Association, Oklahoma Broadcasters Association, StateNets Radio Network and Tennessee Broadcasters Association. RAB is making a customizable tri-fold brochure including key data to promote radio to political advertisers is available for purchase. Contact the RAB at RABEvents@rab.com for more information.